Firstly, The Tales Compendium has reached 100 followers! Thankyou to everyone old and new who checks in here, and an extra big thankyou to those who leave comments. Your interest is much appreciated and I hope I continue to keep you wanting to come back in the future. 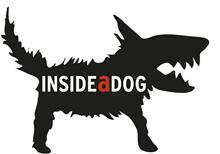 If you haven't already become acquainted with Inside A Dog, I suggest you do. It is a website where teenagers (or people in general) can create a profile, post their reviews, participate in a book club and keep up to date with what is going in YA via the Inside A Dog blog. Each month there is a different 'Writer In Residence' who posts three times a week about whatever they feel like. March was Brian Falkner, April will be Gayle Forman! The site is run by the Centre for Youth Literature at the State Library of Victoria and is being taken care of by Adele, who you may know from her blog Persnickety Snark, who is the new program coordinator. 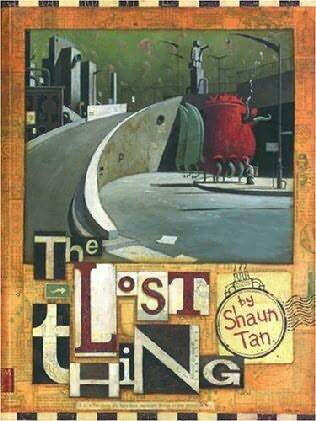 I would like to say a massive CONGRATULATIONS to Aussie Shaun Tan! He has just won the biggest children's literature prize in the world, the Astrid Lindgren Memorial Award, in Sweden. As most of you probably know, he also won an Academy Award last month in the category of Best Animated Short Film for The Lost Thing, his picture book released in 2000. 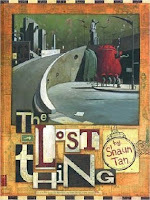 He is also known for his picture books The Red Tree, The Arrival, The Rabbits and Tales From Outer Suburbia. Looks like 2011 is his year! For those of you who missed my post the other day, I will be interviewing Rachel Caine when she comes to Perth next month. So I ask you, what would you like to ask Rachel? 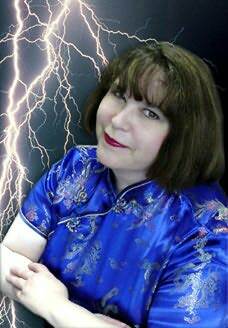 Send me your questions via email (found on my About Me page) or leave a comment. Don't forget this is your last chance to enter the signed Bernard Beckett give-away, which I will draw on April 1st. Visit this post to enter. Congrats on your 100 too! We're so awesome! Yay!